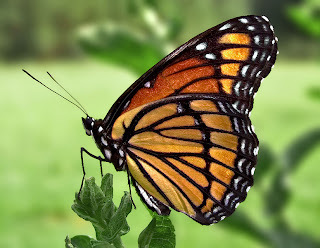 The Viceroy (Limenitis archippus) is a North American butterfly with a range from the Northwest Territories along the eastern edges of the Cascade Range and Sierra Nevada mountains, southwards into central Mexico. 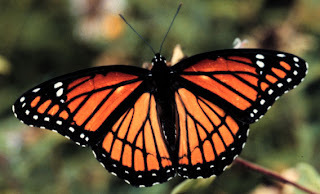 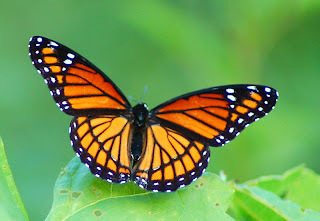 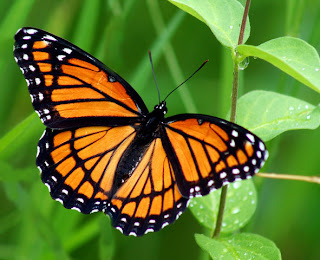 Its wings feature an orange and black pattern, and over most of its range it is a Müllerian mimic with the Monarch butterfly (Danaus plexippus). The viceroy's wingspan is between 53 and 81 mm. It can be distinguished from the Monarch by its smaller size and the postmedian black line that runs across the veins on the hindwing.